Horst-Gregorio Canellas was furious. His lips were trembling and his forehead was beginning to sweat. His brain was full of words needing to be spoken – words that could propel German football into utter chaos, ones that would eventually harm both he and his entire club. Canellas was, as Kickers Offenbach’s director, one of the people responsible for perhaps the biggest scandal German sport has ever seen. And he was about to expose everything. It was 6 June 1971, a warm summer’s day, Sweden’s national day, and Canellas’ 50th birthday. It also represented the end of a troubling season in which Kickers had finished second-bottom of the Bundesliga. But aside from the poor finish, all was not well. The season had ended amidst a flurry of questionable decisions: goals that should never be conceded at the highest level, finishes that just can’t be missed by professionals, and results that made no sense. Now he had the media’s eyes and ears as he called a press conference – the day he would become a whistleblower for some and a turncoat for others. He had invited many friends to his birthday, and it was clear that something was in the air. He had even invited West Germany’s national team coach Helmut Schön, possibly in order to spread the words he would tell. Kickers had, just the day before, been relegated from Bundesliga, and oblivion in the Regionalliga awaited. The day after Borussia Mönchengladbach had clinched the title, he unleashed a fury upon German football that can be felt to this very day. His words would represent a destruction of what had been a fantastic decade for German football. 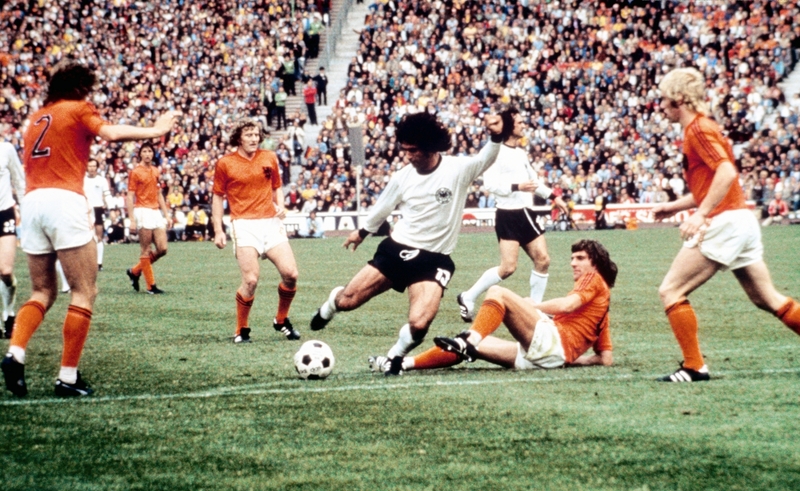 A regular title fight between two Rekordmeisters, Borussia Mönchengladbach and Bayern Munich, improved the quality of the league no end and performances in Europe, and helped Die Mannschaft reach the final of Euro 72 and win the 1974 World Cup. In stark contrast, German society in the 1970s was divided. Football had taken a central role as it had become a place to run from all the potent scares of modern warfare. When the nuclear threat was too real, German football was always there, ready to guide people into a cloudless world of blue skies, peace and togetherness. The role of football in Germany at the time was also of immense importance to the subsequent fall of the game, and its effect on the people. Canellas calmly sits down with the local media and starts painting a worrying picture. He tells the story of Arminia Bielefeld, Kickers’ rivals, who managed to save themselves from relegation. Arminia, named after the German warlord Arminius, paid money to win games, he states. It’s a harsh claim from Canellas, a man who essentially accused his relegation rivals of illegality. Many believed that the claim needed to be taken with a pinch of salt. This was Canellas, after all – he had always been outspoken, controversial even. But most believed that if it turned out to be true, German football would die from within. 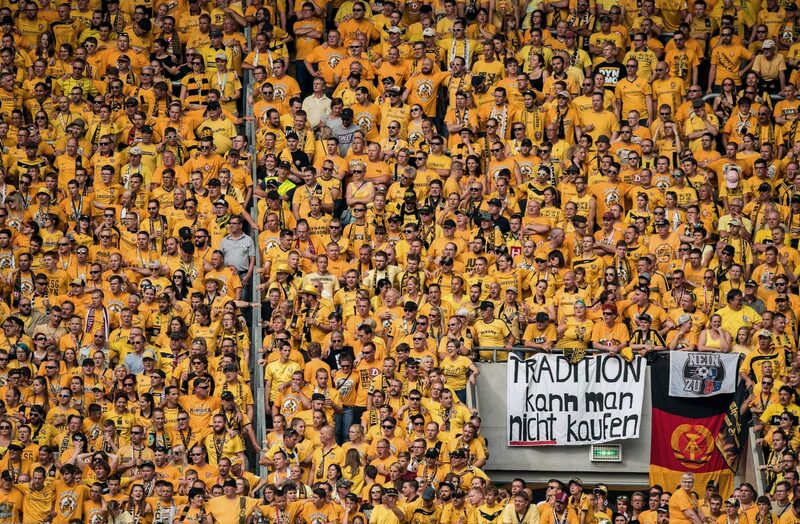 The once-virgin German football would be dirty and sullied. Romantic and pure, the nature of the Bundesliga would face a futile future and the repercussions would be unfathomably grand. Quickly, an investigation was launched by DFB to investigate the allegations. When Arminia Bielefeld, a mainstay in Bundesliga at the time, lost 5-0 in Offenbach against Canellas’ Kickers, they were in real trouble of getting relegated. The club desperately needed to keep themselves in the Bundesliga in order to stay afloat, otherwise a capsize was likely. This prompted pondering regarding match-fixing. Their desperation had brought them to the limit and they were now using non-legitimate tools for success. The reasoning behind this faulty pondering was simple – Arminia had seen other teams do it and figured they’d try it. Thus began the story of Arminia Bielefeld and their collapse into semi-oblivion. Arminia’s role in this scandal cannot be understated. While it has become clear that many other clubs also fixed matches, Arminia’s role in its rise and regularity was staggering. They were the nexus of everything, appearing more times than any other in this story. However, they were not alone. While they may have been the chief antagonist in this Euripidean tragedy, other clubs would also emerge as cheaters. Most of these have already fallen into the trenches of German regional football, but one club is still at the top – FC Schalke 04. Or as they were be known in Germany in 1975, FC Meineid (FC Perjury). Like many teams, Arminia were semi-professional. Their economic security was reliant on their Bundesliga tenure. A relegation would most mean an institutional collapse, and this was an obvious scare for all involved at the club. After the loss at Kickers, Arminia sent one of their few professionals, Waldemar Slomyani, to their coming opponents Schalke. Schalke hadn’t been a part of this before and the concept must’ve been new to them. After a short while, a fee was decided. Schalke would lose the game against Bielefeld if Arminia wired 40,000dm before it started. According to Schalke legend Klaus Fischer, who was a young star at the time, while many experienced players initially refused the offer, they soon changed their minds when the game began and the ease at which they could lose became clear. Youngsters were powerless against their established, powerful teammates. The deal was on. While the fee was relatively modest, its implications weren’t. If Arminia were struggling on the pitch and in the books, why did they happily pay Schalke that kind of money for a game they could have won for free? One theory is that Arminia considered 40,000 a small investment. The game was to be won and momentum was to be gained. It’s equally plausible that Arminia had done some basic counting and had conceded that relegation would be much more costly than their fee to Schalke. As a result, the game was supposed to be a one-time thing. As we know, however, gambling is an addictive pastime. It’s a warm afternoon on 17th April 1971 at the Glückauf-Kampfbahn. Schalke are at home in their traditional blue kit, Arminia in white. All Königsblauen players know that a bribe has been accepted. All but one. The unexpected injury to their first-choice goalkeeper forces Schalke to field reserve ‘keeper Dieter Burdenski and he, not knowing of the fix, performs as if this was his only shot at professional football. Burdenski keeps the score at 0-0. Schalke icon Stan Libuda reportedly gets told by an Arminia player that they will be obliged to send the money back if they can’t make the deal happen. According to reports, a Schalke player tells Burdenski to step aside – but he doesn’t. He can’t understand why he’s supposed to stand down, so he keeps on fighting for his career – and does it well – until he finally concedes and Schalke’s 40,000 is secured. One of the most speculative and fixed games in the history of football comes to a ‘happy’ end – but not for Schalke. Their fans are livid. This was a disgrace, an oddly lacklustre performance inside a few difficult months. While some fans and journalists expected a tough game against a side involved in a relegation scrap, it didn’t excuse their “laziness”, according to Kicker. Still, that’s all it was attributed to – laziness and complacency. Nobody thought anything sinister was at play. At the same time, Köln beat Essen 3-2, in a game in which the latter had also accepted a bribe from Arminia to lose. Essen then did the same and wired Rot-Weiss Oberhausen cash to lose against them, which they did 3-2. Oberhausen then sensationally beat Köln 4-2 in what was also a fixed game. The maze was becoming more complicated by the week. In the midst of all this, Arminia Bielefeld continued their remarkable rise to form. Having beaten Schalke 1-0, Stuttgart were the next on the list – a Stuttgart that had reportedly never taken part in this before. Bielefeld negotiated, secured a deal, wired the money, and then won the game 1-0. They were another step closer to safety but needed a win against Hertha BSC, one of the league’s best sides. Hertha had performed exceptionally well throughout the season and found themselves in third with a game to go. However, due to the limited nature of continental football at the time, they weren’t going to reach the European Cup and they couldn’t snare the title either. Gladbach and Bayern were miles ahead, which meant their final match against Arminia had no real meaning in the divided city of Berlin. Arminia were desperate for a win – desperate enough to cheat – but they weren’t the only ones. Hertha goalkeeper Volkmar Gross suggests that they received two separate offers to throw the game: one was from Arminia for 250,000dm while the other one was from Horst-Gregorio Canellas’ Kickers Offenbach, who wanted to give Hertha 160,000dm to ”motivate” them to glory. Hertha, unsurprisingly, chose Arminia’s offer, losing the meaningless but lucrative game 1-0. It was a sensational result. 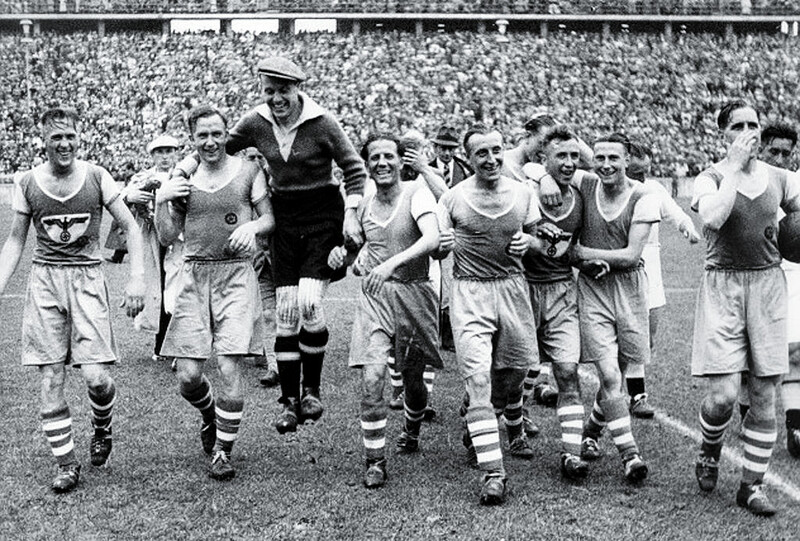 Hertha had been strong on home soil all season, so when they lost the game – amidst a chorus of ironic ”Bribe!” chants – the fans were furious. They wanted one last hurrah to end the season on a high and spend the next few months thinking about glory next term and not their divided city. As a result, Arminia survived, while Kickers were relegated alongside Rot-Weiss Essen, another club involved in the scandal. Rot-Weiss Oberhausen, meanwhile, made the relegation playoffs. A day after relegation was confirmed, Canellas sits down and the truth is exposed. Gladbach’s title win is no longer front-page news as the nation is rocked. They would, however, have to wait a further five years before all the guilty parties were brought to justice. 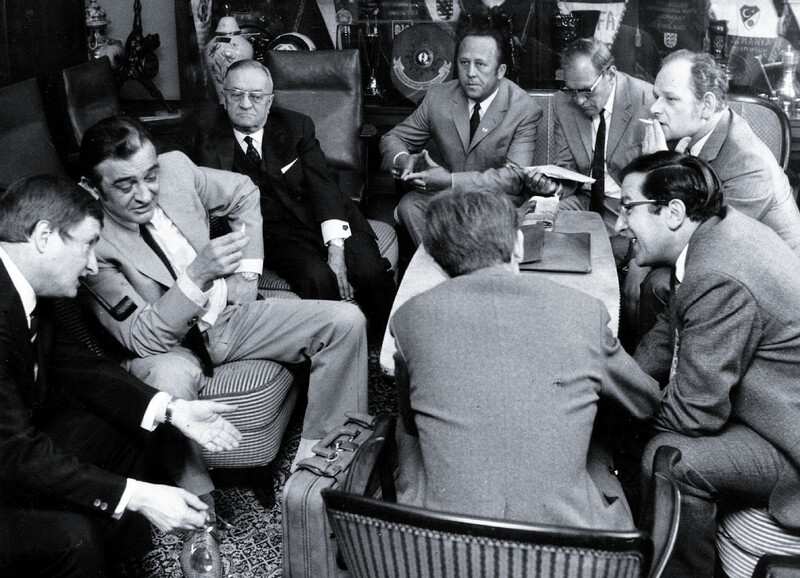 The repercussions of this scandalous Rückrunde in 1971 were on an unprecedented scale. After players, officials and teams were interviewed by the authorities, the shock of Schalke being involved hit everyone, especially after all members of the Königsblau squad had denied knowledge of the incident under oath. Klaus Fischer says in an interview with Bild that this was intentional. He had two options: tell a lie or receive a lifetime ban from Bundesliga football. Fischer wanted to play football and lying was the only way he could continue. However, the consequences of their actions placed a stain alongside the Schalke name that still reverberates with many in Germany today. When standing in front of a district court in 1976, Fischer pleaded guilty to both perjury and bribery, crimes that would normally have meant jail time. Lucikly for a man who would become a German legend, this was not the case. Due to the exceptional circumstances of the scandal, no player was thrown in jail. Most Schalke players were instead banned from German club football for a year. Some were even banned from the national team for five years. Fischer was one of these. They also had to pay a hefty fine for their actions against German sport and society. At the time, it felt like a reasonable punishment for their crimes. Fischer, however, bears a lot of remorse: “How stupid must one be to do something like that?” he said in the interview with Bild. It cost him money and, most importantly, time. Schalke weren’t the only ones punished. Almost 30 players were banned for a few years – some for life – from Bundesliga football. Two managers were banned for life and a few club directors suffered the same penalty. One player remembers his punishment well. 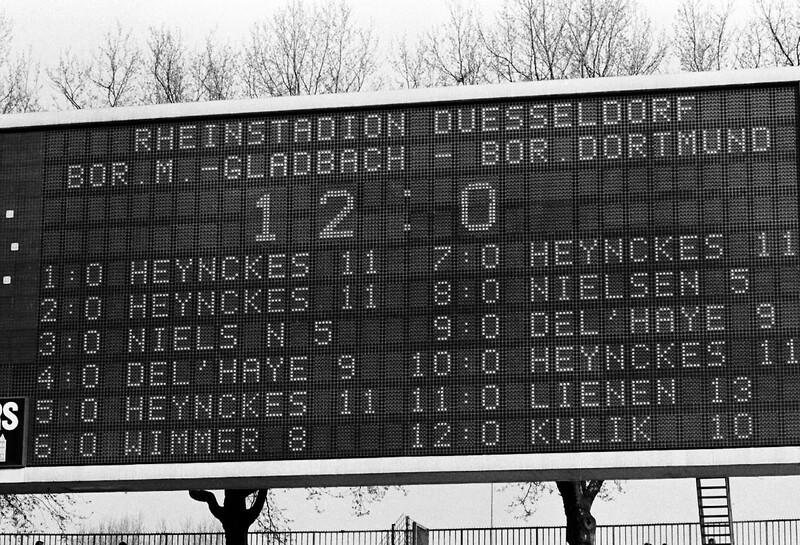 The aforementioned Volkmar Gross, Hertha’s goalkeeper, was banned from the Bundesliga and the national team, denying him his chances of featuring in the 1974 World Cup and ultimately picking up a winners medal. Due to that meaningless game at the end of the season, he missed out on his only opportunity to be a part of German history. Fischer also lost a vital period of his career, which robbed him of the chance to become the Bundesliga’s greatest marksman of all, statistically at least. Instead, his time on the sidelines enabled Gerd Müller to secure his position as the top scorer in Bundesliga history, and consigned Fischer to the looming shadow of his Bayern rival. FC Schalke became FC Meineid for a few years. Their rivals mocked them and made jokes about their crimes, which were seen by many as stupid as they were serious. Schalke – whose players received weaker punishments compared to their rivals, probably because of their stature – became a symbol of everything that was wrong about the German game. For many, they still represent that today, though the club has moved on and forged a new identity in the modern era. Arminia Bielefeld lost their Bundesliga license and so did Kickers. After all the money they wasted, the time spend discussing shady deals in the shadows, and the eternal loss of reputation, they ended up going down anyway. And rightly so. Arminia would return, though. They won promotion in 1977 – fairly, it should be added – but were relegated again after a disappointing season. The returned again a year later and even made it to the Intertoto Cup but dropped down again after a few years and spent decades in obscurity, marred by, ironically, financial problems. While some might see Arminia as receiving what they deserved, their fate was nothing compared to that which befell Kickers. Indeed, the club hasn’t been back in the Bundesliga since and have only spent four years in the 2. Bundesliga. They now reside in the fourth tier, desperately trying to claw their way back to relevance. More than any club, however, it was the status of German football that was sullied most. For decades, people trusted what they saw; the Bundesliga was an outlet of true theatre and the interchanging format proved vital to a country in desperate need of entertainment. Over 6.3 million people watched the Bundesliga live in 1970/71, an imposing figure for an annual league. This figure dropped to 5.5 million in 1972 and then finally to barely five million in 1973. German football lost over a million spectators in the space of two troubled years, and the economic repercussions were enormous. Thankfully for the German game, the World Cup triumph of 1974, which was seen by many as a triumph of West over East, brought people back onto the terraces and paved the way for a brighter future. It remains scary to think what might have happened had Germany not prevailed on the world stage. Either way, the repercussions of the large-scale match-fixing events of 1971 still hold relevance today. Arminia Bielefeld returned to the Bundesliga but have remained a yo-yo club since, unable to shake off their tag as the chief instigators. Kickers Offenbach have struggled since and will perhaps never return to their past glories. Klaus Fischer will forever walk in the shadow of Gerd Müller, consigned to second-best throughout history when he could’ve achieved so much more, and Volkmar Gross will always look back in anger at the World Cup winners medal that never was.